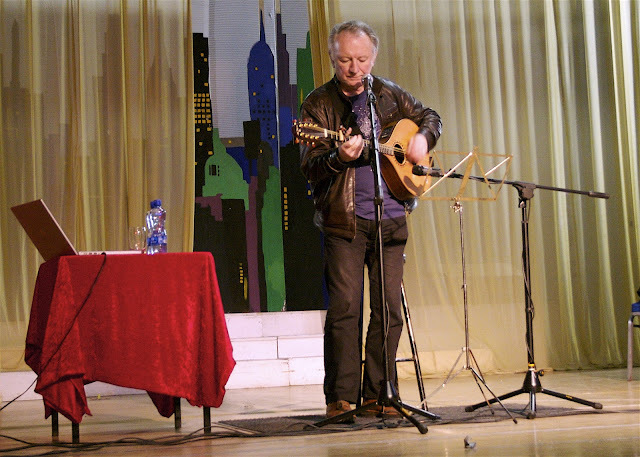 Greenhills Herald: Donal Lunny visits and struts his stuff!! 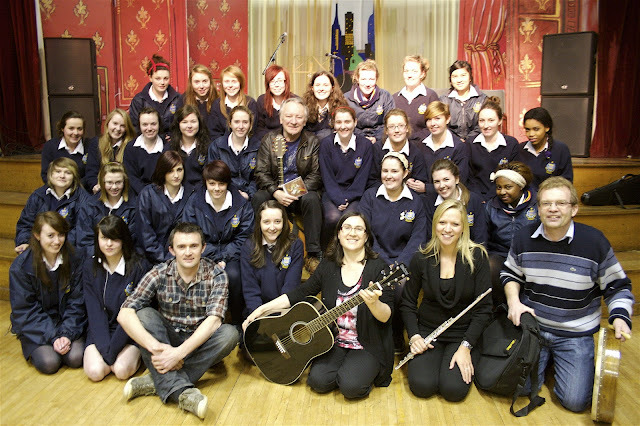 The music dept invited the one and only Donal Lunny to speak to our music students and it was a roaring success!! The cornerstone of Planxty, Moving Hearts and the Bothy Band proved to be a big hit with students and teachers alike. 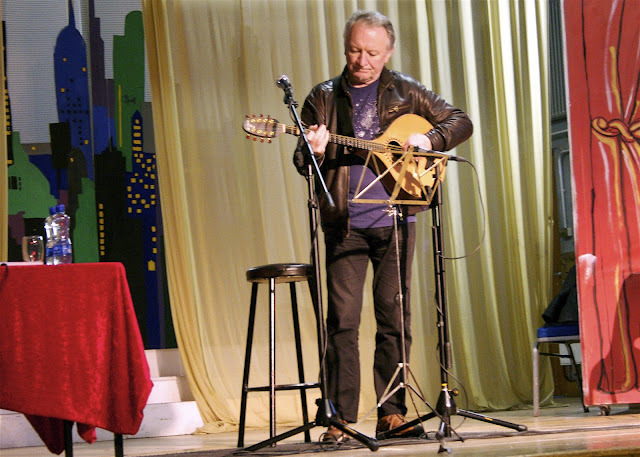 His modest, unassuming approach was both endearing and inclusive...having us all believe that we too could be musical geniuses...."Ah sure, I just picked it up along the way!" 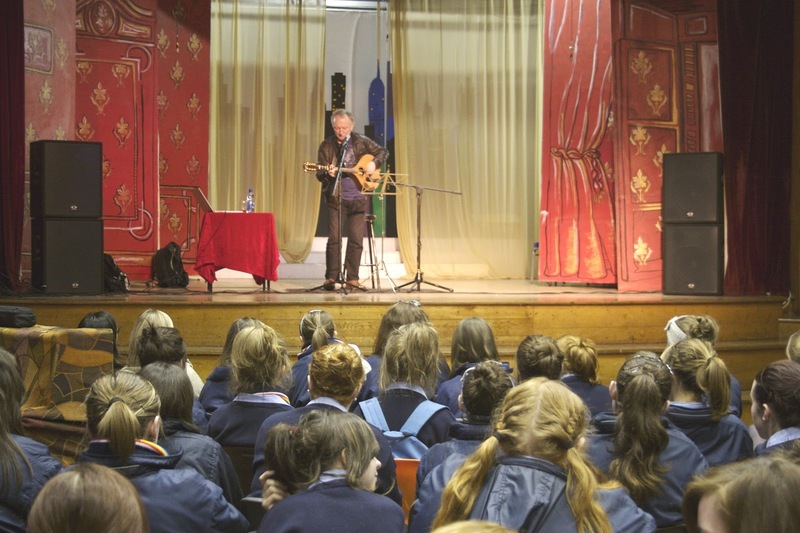 Donal gave us a brief but informative history of Traditional Irish music, its importance to our culture and the great craic involved in people playing together. 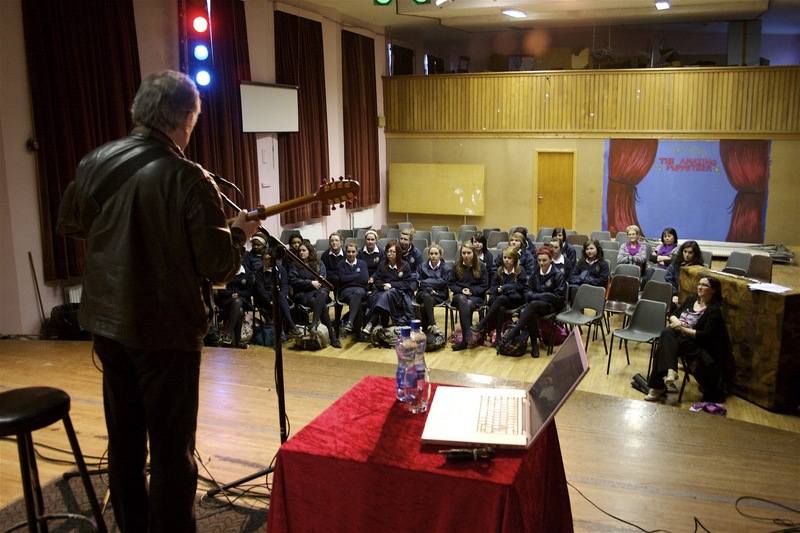 Some students performed solo for him, not an easy task!...well done Doireann!! Then the teacher's got stuck in and played a few polkas!! Donal plays a toe-tapping jig.....The Ballycastle? and a slow reel....The Mountain Road? Well done Doireann...your slow air was graceful and moving. 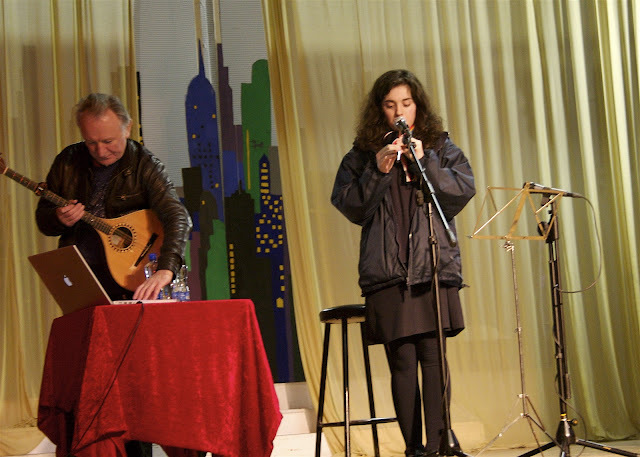 Trad's next big thing !! 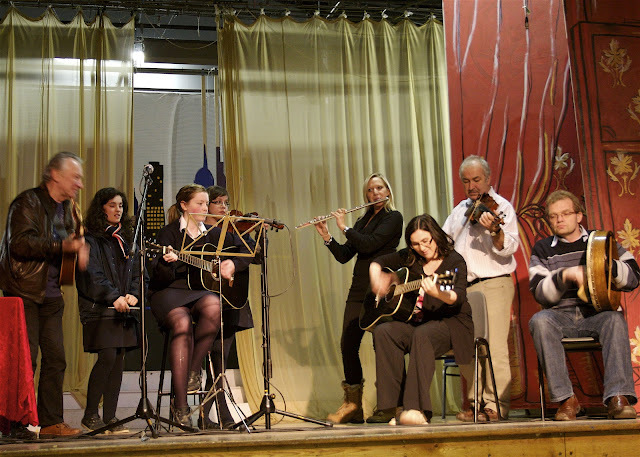 Senior Music students and teachers! Thank you Donal for all your help....hope to see you again soon!